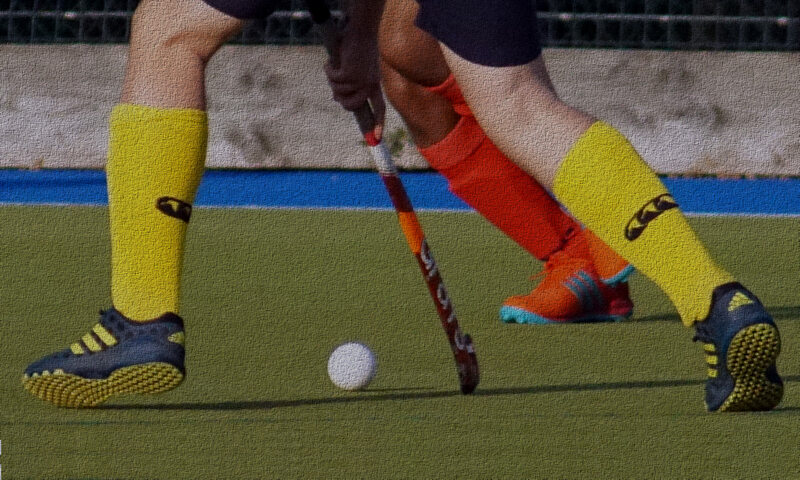 Romsey endured a roller coaster afternoon in the Autumn heat, to eventually run out winners, but with some youngsters making their debuts, the real winner was hockey. Romsey were on the back foot early on Josh Harwood and James Tower in the centre of midfield were being outnumbered, and Salisbury pushed forward and won a hit on the 23 yard line. They took it quickly and powered down on goal, good defending by Simeon Field and Dave Loescher meant the shot was pushed wide, but as debutant keeper Ollie O’Hara came across to cover the Salisbury forward shot at the far post to put the visitors ahead. Romsey rallied, and Carl Hendy and Colin Harwood came off the bench, Harwood played a solid first time pass in to the circle from a distance and a touch by Hendy saw Stan Cazaly nip in front of his man to deflect the ball past the keeper for his first goal for the Club in a Man of the match performance. Romsey enjoyed the possession now and won a penalty corner after good play by Matt Duke down the left with Sean Rawles. Rawles played the corner out to Harwood who passed to Hendy, who played the ball to Rawles to shoot from a tight angle for 2-1 at half time. Romsey were under pressure at the start of the second half, but Ben Parker and Lukasz Suleja supported their defensive partners of Field and Loescher, to keep some strong crosses away from Salisbury forwards, and O’Hara in goal made sure his defence wasn’t breached. The introduction of Will Payne on the right further secured Romsey’s defence and he had an equal man of the match performance on his debut, and supported the right side with Cazaly and Harwood. Harwood senior set up Harwood junior for a shot from outside the circle, and Rawles got a touch inside the circle to deflect it past the keeper for 3-1. Romsey tired, and Salisbury hit back with two good goals, the first a reverse lifted shot across the goal from a tight angle, and the second soon after from an attack down their right which resulted in a fierce equalizing shot. With not long left Matt Duke and James Tower combined to switch the ball out to Cazaly, he played it back to Harwood and Payne, who switched it back to Rawles who deflected the ball again past the keeper for the winner, and his second hat trick in successive games. Romsey held on under pressure in the last five minutes to win the game, when a draw looked likely, to make it 6 points out of a possible 9 at the start of the season.